Getting the right pendant for your space may not always be as simple as choosing your favorite look. Before you scrape up some hard-earned cash for that new pendant light, it’s a good idea to consider more than just aesthetic beauty. Like any healthy relationship, you need to look under the surface to find out what you’re really getting into. And with pendants, factors such as versatility, installation and special maintenance are not always obvious, and certainly not the same between different designs. 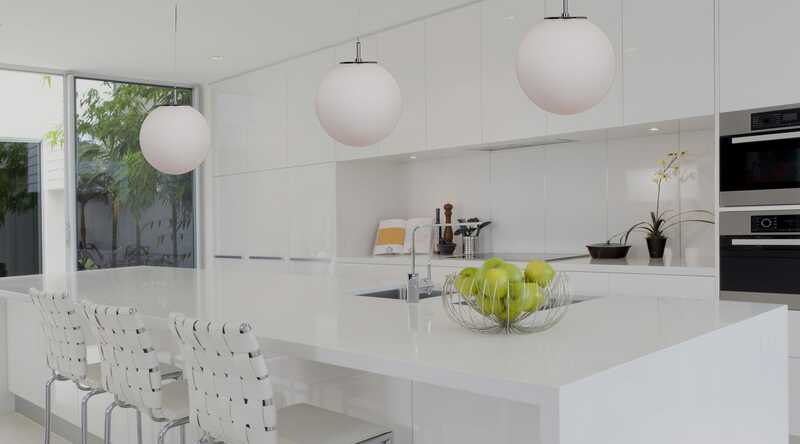 The following guide explores these factors for some of the most common pendant designs, helping you find the best fit for your living space in both form and function. Drum pendants are some of the most recognizable pendants around, featuring a snare-drum silhouette that is typically capped at both ends. And, with a versatile form that can be used in setting ranging from traditional to contemporary and a wide variety of materials, their primary function is ambient lighting. This makes them ideal centerpieces and, perhaps, primary light sources for social settings such as kitchens, dining rooms and open living spaces. If it’s made from fabric, however, you should avoid installing it in your kitchen, as it is likely to become stained and worn from your day-to-day cooking activities. Like the drum pendant, the bowl pendant looks exactly how it sounds…like a bowl. And, while its parabolic body is entirely distinct from the classic drum pendant shape, these two designs more or less perform the same function: providing soft, well-diffused ambient lighting. Again, kitchens, dining rooms and open living spaces are ideal locations for this piece, whether used as a primary or even secondary light source. However, it is important to note that this design will require special maintenance as its bowl shape often becomes a haven for dust as well as insects. A globe pendant can bring a great deal of subtlety to your home décor, both in form and function. Though its design can differ in size and material, it is typically meant to produce soft ambient lighting for areas regularly hidden from primary light sources. If the pendant has an open bottom, it can also provide a decent amount of task lighting for countertops, kitchen islands and other areas of interest. It’s also important to keep in mind that many globe pendants are made of glass and are, thus, more likely to smudge. So, be sure to have that cloth and cleaner ready. While not usually thought of as a primary light source, the cylinder pendant provides plenty of focused task lighting for highly trafficked surfaces such as counters, kitchen islands and even trendy bedroom nightstands. Their style potential is incredibly vast, ranging from a more traditional lantern aesthetic to a sleek, laser-etched chrome cylinder. Keep in mind that the opacity of the pendant’s material will greatly determine how often it needs cleaning, with clear glass needing the most attention and opaque, matte colors needing the least. Similar to the cylinder pendant, the dome pendant is designed to direct light downward over a surface or area of interest. By virtue of its open parabola shape, it provides greater coverage than the cylinder, but is much less focused on any one area. Depending on its scale and the size of the room, the dome pendant can be used as either a primary or secondary light source. Keep in mind, though, it does not offer much in the way of ambient light. So, if it is used as a primary light source, there will a lot more shadows than with a drum or bowl pendant. The disc pendant is a product of modern technology, taking advantage of the minimal space required for integrated LED drivers to provide the most illumination with the most sleek, minimalist design possible. As a result, these pendants are highly versatile, perhaps the most versatile of all available pendant designs, offering dimmable LED lamping and, in many cases, adjustable heads to help position the light in the most efficient way possible. Though incredibly functional, they work best as secondary light sources, brightening a table or counter space rather than an entire room. Also, consider installing them in groups for a more balanced aesthetic. The fluid, curvy teardrop pendant is perhaps the most aesthetically pleasing of common pendant designs, often featuring artisan glasswork and metalwork in its construction. Functionally speaking, this pendant greatly resembles the cylinder pendant, producing task and ambient light ideal for counters, tables and bedroom nightstands. As for cleaning, the same rules apply with respect to its material. Transparent glass pendants will need much more attention than an opaque pendant. While not typically used as a primary light source, these pendants tend to work well in clusters for greater coverage and a more complex visual display. As you can see, choosing the right pendant is more of a process than a simple gut reaction. Contrary to popular belief, it is not as simple as finding the one that looks the best and puts out the most light. It involves asking a lot of well-informed questions regarding form, function and maintenance requirements. This way, you can be confident that your choice will be a good one, enabling your home décor to reach its full potential with lighting that is both stunning and appropriate.